PROVIDENCE, R.I. (AP) — Two health care companies are joining Rhode Island’s bus authority to help sponsor a new electric bicycle rental service in Providence. 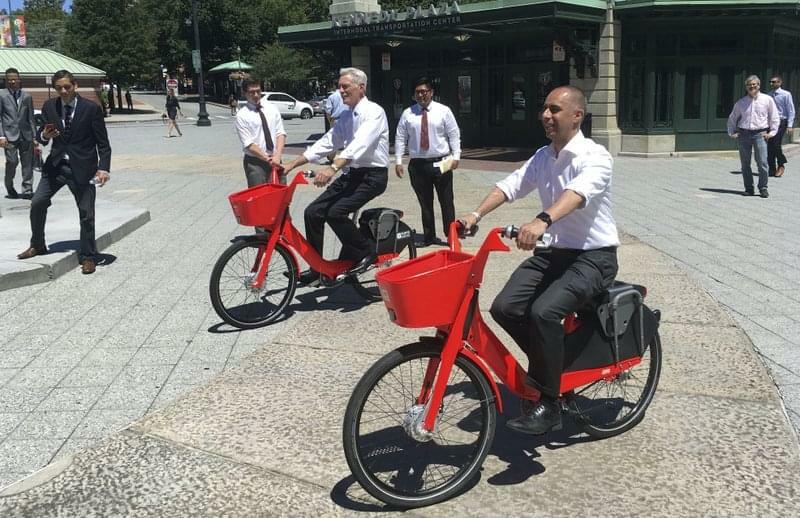 Jump Bikes, owned by Uber Technologies, plans to launch its citywide service in late August at a cost of $2 for each half hour of riding. Tufts Health Plan and Lifespan announced Thursday they’re helping to sponsor the Providence service, along with the city government and a $400,000 federal grant administered by the Rhode Island Public Transit Authority. The financial terms of the sponsorships haven’t been disclosed. There will be 46 hubs installed around the city to dock the electric-assisted pedal bikes. Jump Bikes is one of several companies competing to rapidly expand bike-sharing services to U.S. cities. Jump plans to offer reduced-cost memberships to people with low incomes.